Anyone with a smartphone can tell you there’s an abundance of apps out there that will make life easier for you. From ordering dinner at your favorite restaurants to catching up on the news or getting the score to the game you missed while you were working late, there is, quite literally, an app for ‘that’! So with so many to choose from, we’ve done some research and narrowed it down to 5 helpful apps for living at Element! Read on and prepare for easy living. Did you know there’s a bus stop located in Stonebridge Plaza right outside your door? One of the convenient features of Element’s location is the growing list of businesses and restaurants opening up in Stonebridge Plaza. But let’s not forget to add transportation to that list! The bus stop is located across from the ABC Store in the Kroger parking lot, right beside home sweet home. The Greater Richmond Transit Company has a handy app that allows you to check out local routes, see arrival times, and find the nearest stops to where you are. Whether you’re enjoying the city living without a car or just want the convenience of not having to find parking wherever you’re headed, check out GRTC’s app and catch the bus! Like meal planning or just like coupons? Be sure to check out Kroger’s app. It features the weekly ads, as well as the current sales and manufacturer coupons. The best part is that you can link the app to your Kroger card, which means no more realizing you forgot your card as soon as you get to checkout. You can add the coupons to your card and scan the barcode from your phone and voila! You can even keep track of your Kroger Rewards (hello, cheaper gas!) all from your phone! What’s not to love about that? This one is for all who know exactly where to get their favorite cuppa joe or spot of tea. If that’s you, chances are you already have this app downloaded. And if that’s the case, we probably don’t need to remind you of the amazing-ness that is this app. But, let’s say you’re new to the coffee scene. If you received a Starbucks gift card from your coworker at the company holiday party, you can very easily register it at the Starbucks website and connect it to the awesome app that you just downloaded. You can manage all your Starbucks cards (if you’re a connoisseur and have more than one), reload the card when you get low (Gasp! ), pay for your drinks, place an order for pick up, find a store near you… and the list goes on. Anyway, it made the list because we have not 1, but 2 Starbucks locations conveniently located very close to home (across Midlothian, next to Chipotle AND inside Kroger). Caffeinated drink lovers unite! Let’s be honest… adult-ing can be hard. With car payments, rent, utilities, food, student loans, and who knows what else, it can be really hard to keep track of what’s due and when. That’s where Mint comes in. You can connect all your bills to the app and it will remind you that a bill has become due. It will even give you the option to connect a bank account and pay the bill directly through the app. You’re one less late fee away from getting this whole adult thing down pat. While you’re busy adult-ing with Mint, we’d also like to point out that sometimes situations call for splitting a bill, rent, etc. Who would’ve thought that they’d come up with an app for that, too? Splitwise does all that and more. If you owe someone half (or part) of a bill or they owe you, you can enter it into Splitwise so that it shows up on both your accounts. When you’re ready to settle the score and pay off that bill (read: pay your half of rent or bills), you can pay up in Splitwise by connecting a bank account. Gone are the days when you had to write a check or pull cash to pay your half of everything. It’s, literally, as easy as a tap of a button! 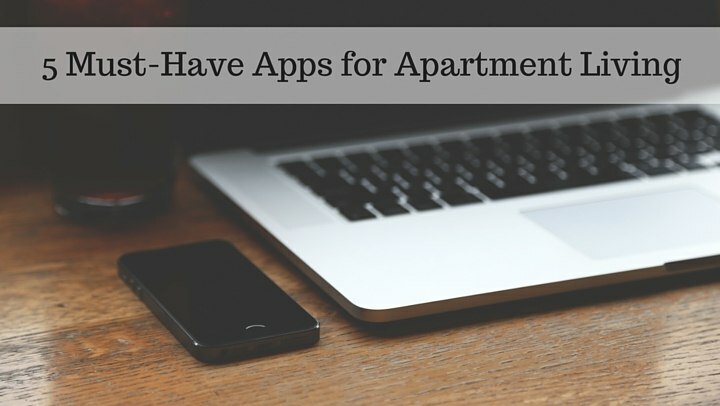 Do you have a favorite app that all of your fellow residents might like? Share it with us on here or on our Facebook page! We’re always looking for ways to make life easy!